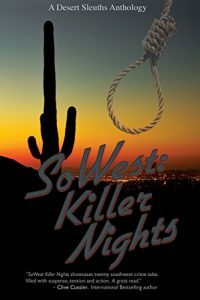 "Becoming the Writer You Were Meant To Be"
Volume #8 of the Desert Sleuths Chapter Anthology, SoWest: Ladykillers, will be released at the WriteNow! 2019 Conference, September 27-28, 2019! Information on submissions for the first ever Desert Sleuths' Cookbook here! You asked for it—you won’t admit it, but we know you want to know. And we know you’ll love it! For our first “Members Helping Members” Ask Me Anything Panel, we have pulled together some of our most successful DS authors to share their “tricks of the trade.” No secrets. Learn how to make narrative magic and get your work out there. Join current Anthony, Lefty, Mary Higgins Clark awards nominee Dianne Freeman, two-time Anthony Award and pushcart Prize Nominee Deborah J Ledford, Rocky Mountain Fiction Writers winner Shannon Baker and acclaimed, multi-published author Meredith Blevins. The third Wednesday of each month Desert Sleuths convenes at THE NEWTON, 300 W Camelback Rd, Phoenix, AZ 85013. Member-authors are welcome to bring their books to sell at meetings. No RSVPs needed. Attendees pay for their own meals. Every month we meet to hone our skills, learn how to get published, promote our work, and network with other crime fiction writers. Our speakers include law enforcement officers, publishers, editors, and other authors.